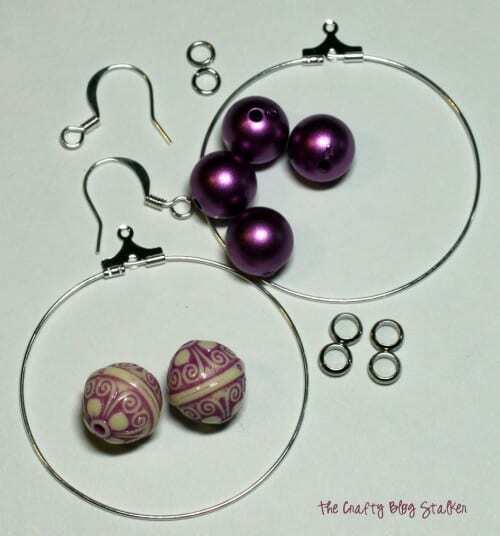 Learn how to make Beaded Hoop Earrings! An easy DIY craft tutorial idea to create your own DIY Jewelry. Show off your own fashion and style. A couple of weeks ago I went to The Bead Farm, a local beading store, and I have to say that I am hooked. I have always loved jewelry and have shared several jewelry tutorials with you before. But it was so fun to go there and have them teach me! Before I left I did a little shopping and brought some projects home to make. These earrings were very simple and went together rather quickly. Carefully open the hoop without squishing it. Thread the beads onto the wire with the silver washer bead between the round beads. Reattach the wire and crimp shut so it won’t come undone. Open the jump rings using 2 pairs of pliers. Carefully pinch each side of the jump ring with one pair. Push right hand forward and left hand backward. By using this motion you will keep the jump ring in a circular shape without squishing it. Add the beaded hoops and ear wires to the jump ring. Close the jump ring again by using the 2 pairs of pliers and a rocking motion to bring the ends back together. 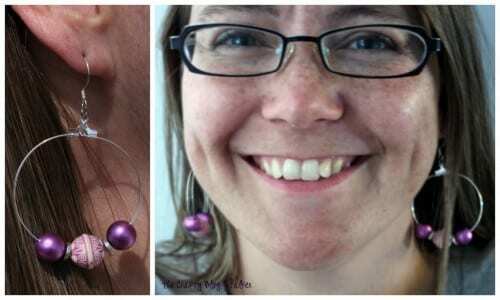 SAVE HOW TO MAKE BEADED HOOP EARRINGS TO YOUR FAVORITE DIY JEWELRY PINTEREST BOARD! Hi There, Can’t believe it’s that easy!!!Stunning!! !And I am sure much cheaper than buying them in a store!! !Have a great week!!! How lovely are they? Stunning! 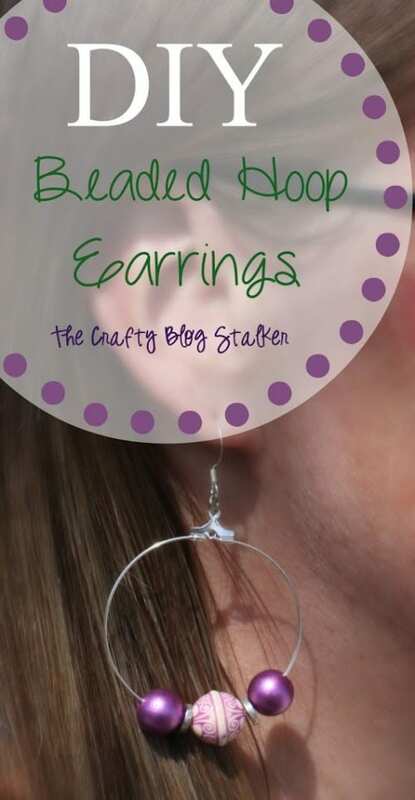 Nice and easy project!I like this earrings!! Cute! I’d love if you’d like up to The DIY’ers! Super cute and these look like something I could actually make! Sometimes jewelry seems a bit overwhelming but these look lovely and doable. Thanks for sharing.